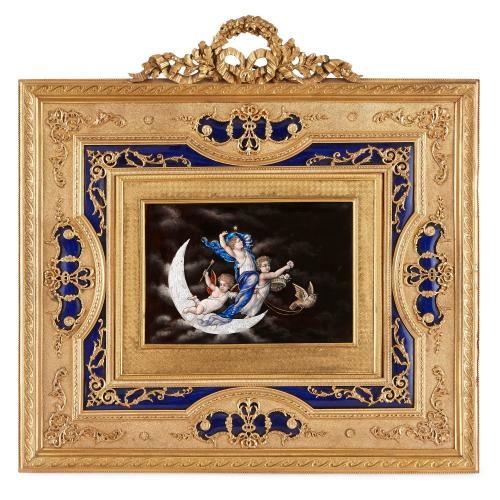 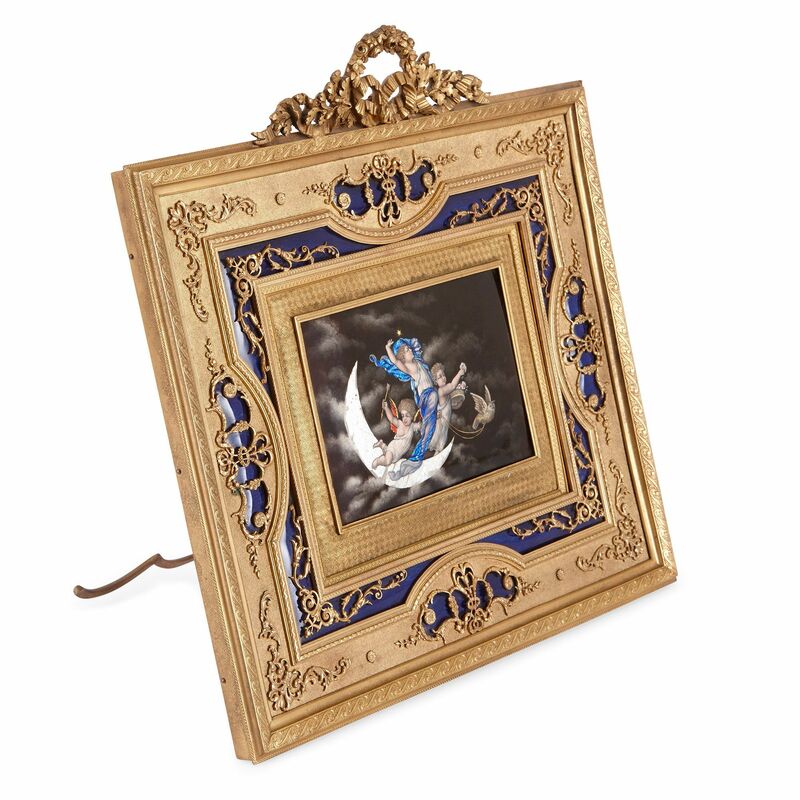 This charming 19th Century Limoges enamel plaque depicts a magical, cherubic allegory against a lustrous night sky in an intricate ormolu frame. 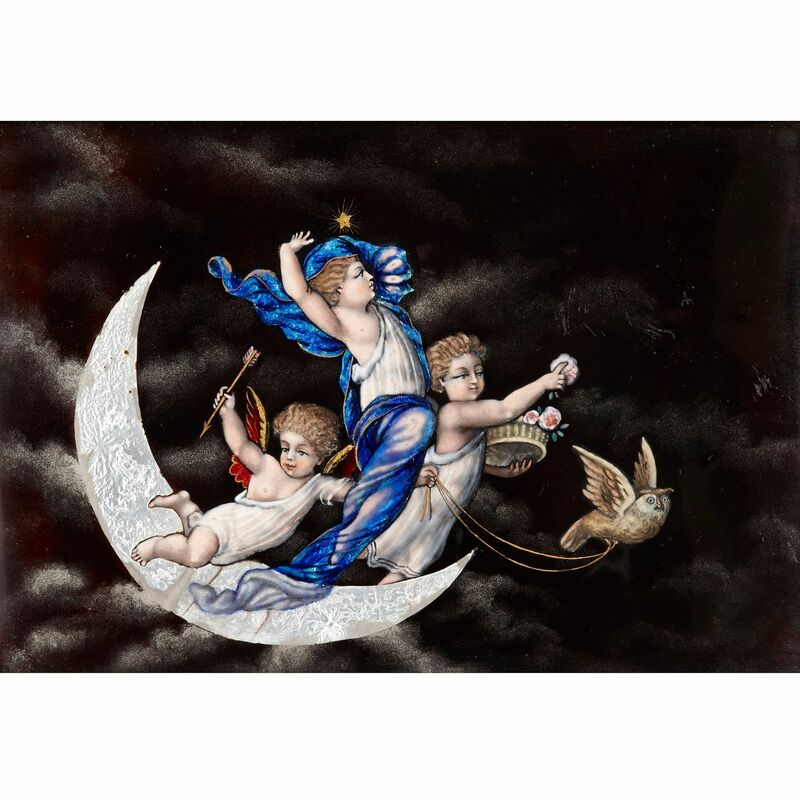 The enamel plaque depicts an allegory of night, with winged cherubs flying across the sky bestowing flowers and an arrow, as they hold an owl by the reins and skip alongside the silvered moon. 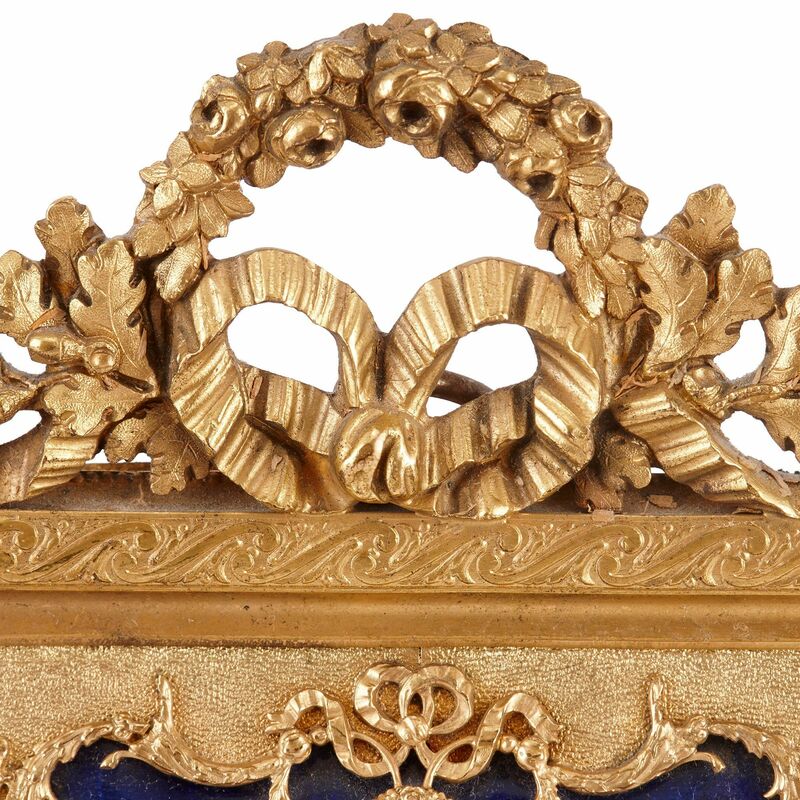 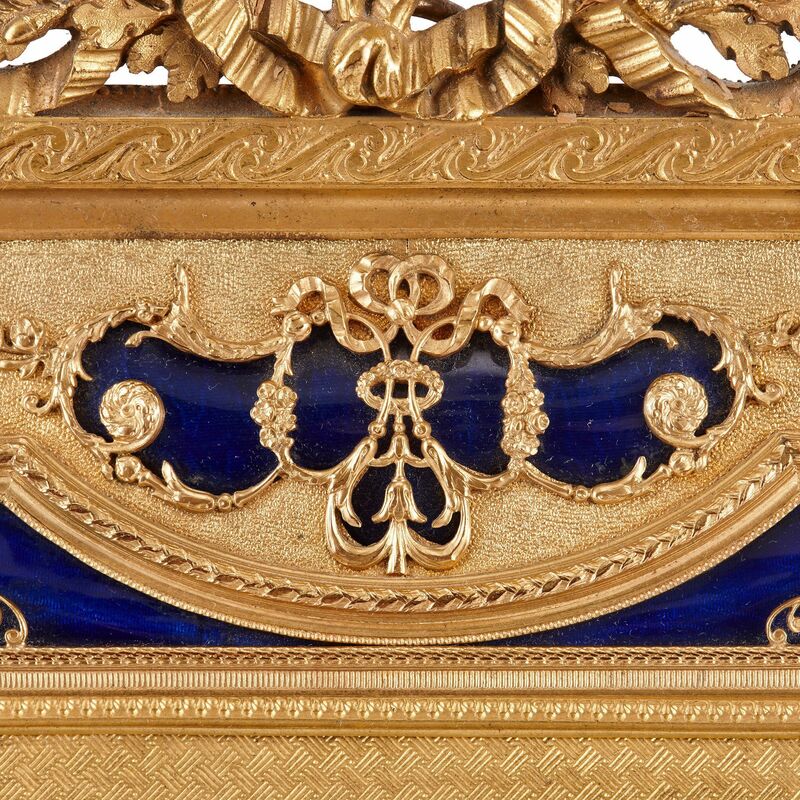 The plaque is set within an ormolu frame which is decorated with foliate scrolls and features a wreath of laurel leaves and bows to the upper centre, and is further decorated with enamel inlays in royal blue. 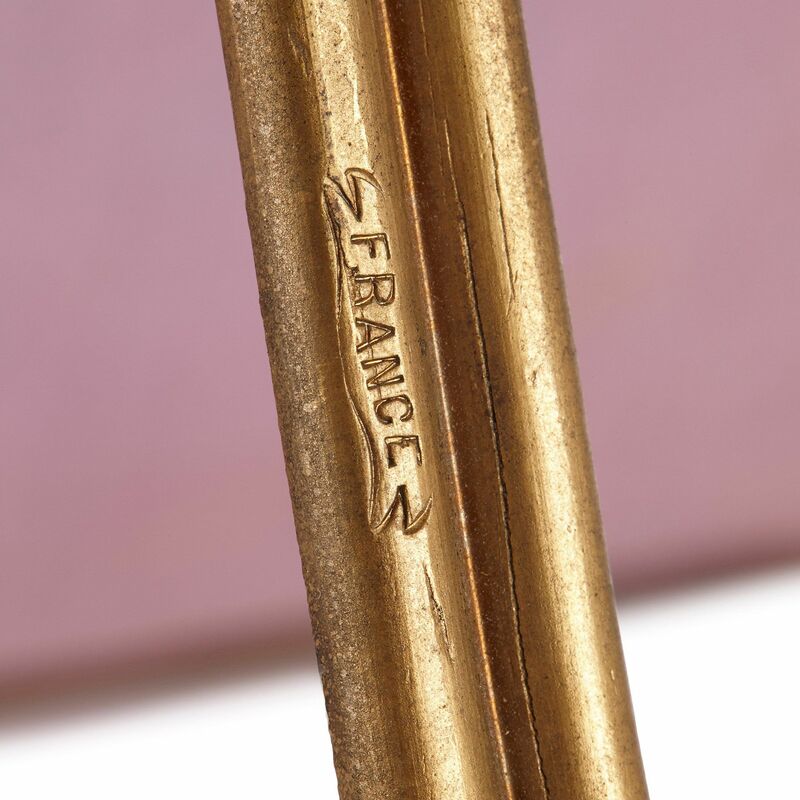 The frame features a support, allowing the plaque to stand upright, and bears the inscription 'FRANCE'.